The U. S. Air Force successfully launched the fifth GPS Block IIF satellite yesterday evening (February 20) from Cape Canaveral Air Force Station, Florida. Carried aboard a United Launch Alliance Delta IV launch vehicle, the satellite was lifted toward orbit at 8:59 p.m. (EST), targeted for slot 3 of plane A of the GPS constellation. The spacecraft will replace a 16-year-old GPS Block IIA satellite, which was launched in November 1997. 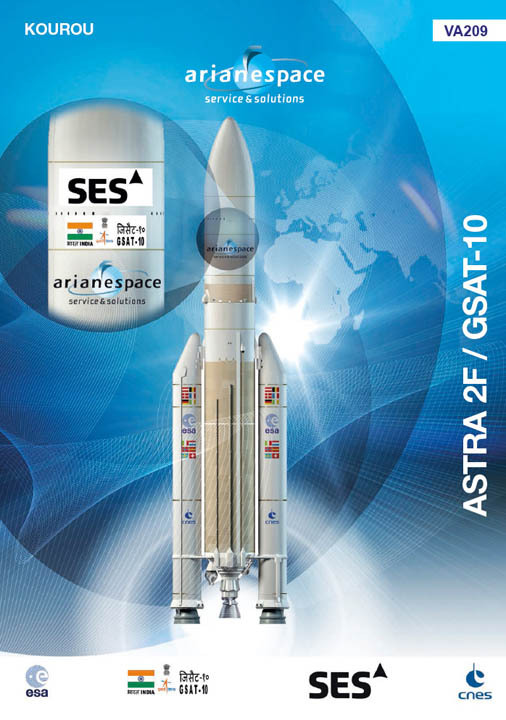 The IIF-5’s designation will be Space Vehicle Number (SVN) 64 and probably will take on pseudo-random noise (PRN) code 30 identity, reassigned from SVN49, a Block IIR(M) satellite launched in 2009, which was never set operational due to signal-quality problems. The Boeing-built GPS IIF satellite will provide greater navigational accuracy through improvements in atomic clock technology, a more robust signal for commercial aviation and safety-of-life applications, known as the new third civil signal (L5), a second civil signal (L2C) available for the dual frequency GPS receivers and a 12-year design life providing long-term service. These upgrades improve anti-jam capabilities for the warfighter and improve security for military and civil users around the world, according to the GPS Directorate. "The new capabilities provided by the IIF satellites will improve operations, sustainment and overall GPS service for the warfighter, international, commercial and civil communities," said Col. Bill Cooley, director of the GPS program at the Space and Missile Systems Center at Los Angeles Air Force Base, California. "The modernized capabilities that are coming on board with the successful launch of GPS IIF-5 will support the worldwide GPS community for years to come."